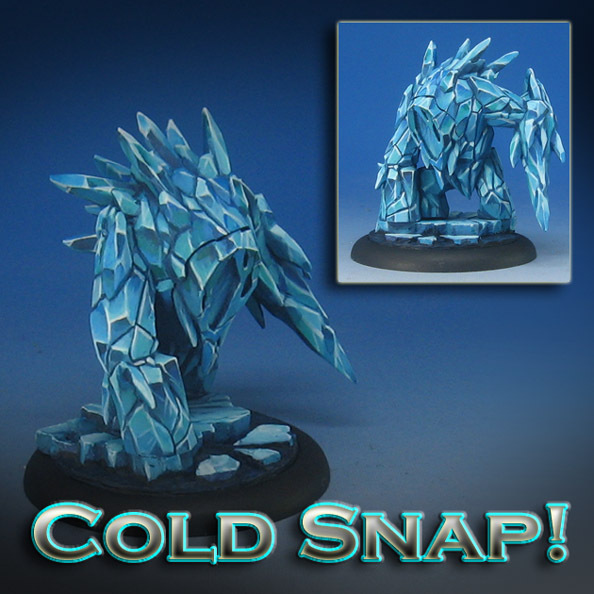 This unusual Ice elemental posed a real challenge with all these different facets pointing this way and that! It also meant having to work in a narrow range of blues, blue greens and even blue-gray. The shadow areas not only required more of that blue gray, but also some teal mid tones in order to convey some semblance of translucency. 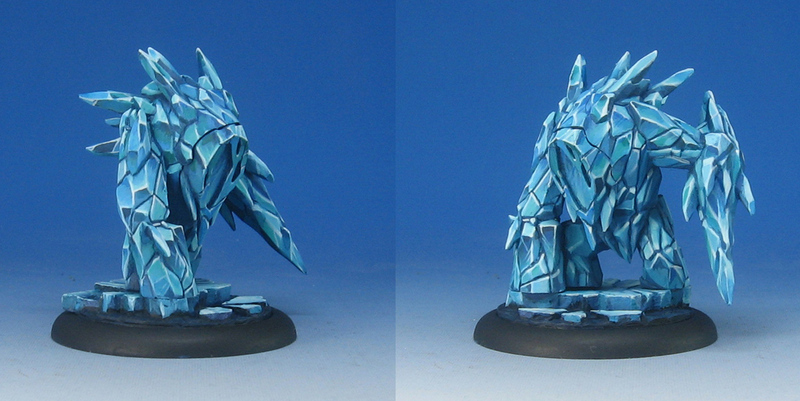 I will definitely try to create another full scale tutorial on painting Ice Elementals at some point, so stay tuned!